After 25 years of being in business, we thought it was time for a change! We hope you enjoy our new website. Unfortunately, we were unable to transfer all of our great reviews. ​Please leave us a review if you've experienced a visit from us! I've seen Barn Babies a few times now, at college events and most recently at my graduation party. I'm impressed at the staff's ability to work any basically any surroundings while keeping the animals safe, happy, and comfortable! Barn Babies is amazing to experience and so worth the value, and much better than a regular petting zoo in that it is more intimate - you are practically guaranteed one on one time with all of the animals! I also love that the animals already have homes lined up. We had Barnyard Babies come out for a birthday party and it was such a hit. Everyone (adults and kids) got in on the action and had a great time. Thanks for making our party so much fun! Just went to a party today and they were awesome- great with kids and the animals were so ridiculously cute. Awesome Girls. Would have given them 10 stars if it was an option! Let me just say these girls went above and beyond really made this experience so memorable for my niece and nephew. The animals were so cute and everything was soo clean! Very punctual crew as well they showed up early and packed very efficiently even caught one of The girls on her hands and knees with the dust pan can't ask for anything more. Sooo awesome! Thank you we will definitely have barn babies in The future!!!!!! We had such a great day with the barn babies!! Staff assisted my twin boys 6th birthday. I have never been more impressed with interaction between the staff and so many little ones!! They were so patient with the kids today!! One of my sons and his friend are in wheelchairs and non verbal and they couldn't have been more accommodating. It was priceless to see the smiles on all my kids faces interacting with all the animals! Thanks barn babies for a great day!!! Barn Babies made my 7-year-olds birthday party absolutely perfect! All the kids were thrilled with the variety of animals, and the staff were extremely kind and professional. I would recommend Barn Babies in a heartbeat. Barn Babies were at our company party and it was a HIT! The kids loved it. Adults loved it. People are talking about the next day in the office. And I have already recommended this service to our church for future events. Thank you. ​Barn Babies just came to visit and my kids loved loved it!!!! The staff were phenomenal as well. They were very patient with the children, quick setting up and breaking everything down and friendly with the staff as well. I will request them again with no hesitation... Thank you guys!!! 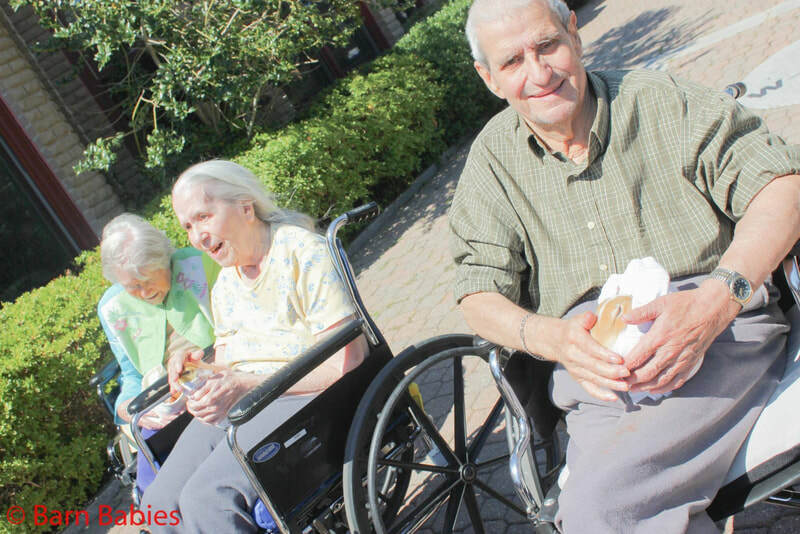 Barn Babies provided an event for a Life Choice Hospice patient and the other residents in one of our facilities. I was amaze to finally hear one of my patients speak a complete sentence when at the end of the event the pet she was holding was taken. 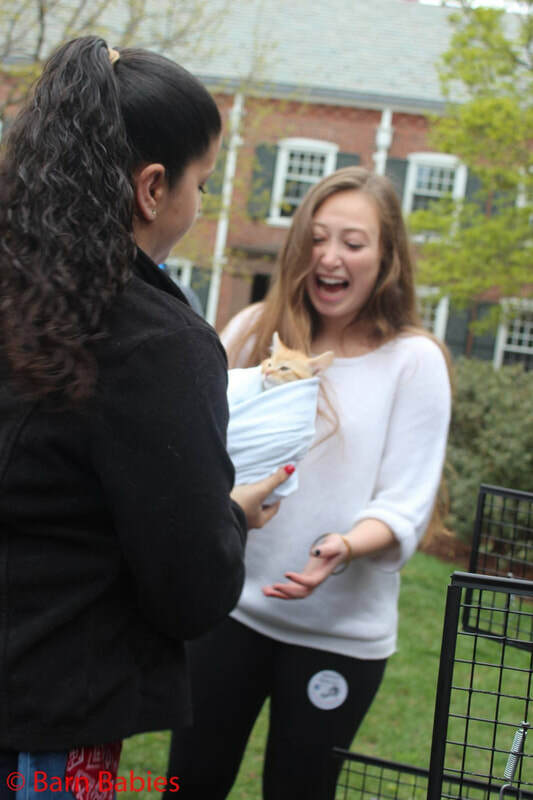 The event allowed the residents to feel wanted and responsible in caring for a baby animal. Thank you for the work you are doing. Love is your strength. 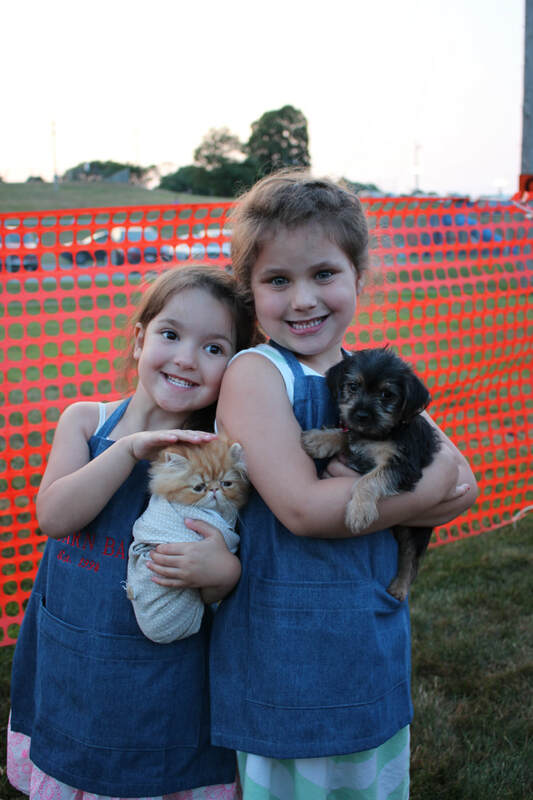 ​It's no secret that the residents at Plymouth Crossings love animals, and therefore, when the Barn Babies came to visit us on Monday, it was our most well attended event of the summer! Residents, associates and family members gathered under the big tent outside, and enjoyed seeing and holding a squealing piglet, ducklings, kittens, puppies, a Japanese chicken, and a diapered goat (yes, a diapered kid goat!). The sun was shining, everyone was smiling and a wonderful day was had by all! ​Excellent!We had an incredible experience with Barn Babies. My son was turning three this December and LOVES animals. I was so excited to have Barn Babies come to our house but was a little nervous about having the animals inside with a handful of 2 and 3 year olds, but they handled it perfectly! The toddlers, older children and adults all loved it! The staff were so patient and kind to everyone. My son can be shy and takes a little while to warm up, but they were so good with him. This will be a birthday party we will never forget. Thank you!!! ​Last night Barn Babies was at my school, Newbury College. It was THE best way to end a Thursday ever! The entire time I was there all I could say was "AW" or "OMG I'm in heaven!" I absolutely loved it and I did not want to leave! The animals are so so so cute and my entire school had a blast. That was obvious that the entire school loved it. They were set up in the auditorium and there was a huge long line waiting to get in to see the animals! I cannot say enough how much I love Barn Babies!!!!! !